Recieve 10% Off Parts and Labor. Includes: Oil Service, air filter, cabin filter, wipers, tire rotation and balanace, and 4-wheel alignment. 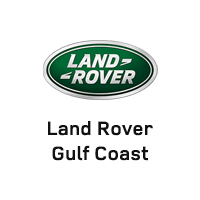 Offer valid only at Land Rover Gulf Coast. Taxes and any applicable environmental fees not included. May not be combined with any other offers or discounts. Must present coupon at time of service write-up. See Service Advisor for restrictions and full details. Take 10% off your factory recommended annual service! Land Rover Gulf Coast	30.661178, -88.1243182.